In this, our third week in our Ask an Expert series, we’ve decided to do something new and different. But before I explain what it is and share our reader’s question with all of you, I want to tell you just a little bit about our newest expert. Her name is Liza Sánchez–I mentioned her blog in yesterday’s Yo Quiero Links entry. She obtained her MA in Education at the University of California Berkeley. She is the founder and Board Chair of Escuela Bilingüe Internacional (EBI) in Oakland, California. EBI is the first independent school in California to offer a Spanish-English dual language program, extending from pre-K through 8th grade. Liza will be answering one of your questions next Monday, so please send anything related to bilingual education our way by going here. Today, however, after reading all the incredibly useful and practical comments all of you have left here, Roxana and I realized that your are experts, too! So we’ve decided to let you dish out the advice. That’s right: You! We love the fact that we have very opinionated and passionate readers who leave the most insightful comments. Reading them inspires us in so many ways. 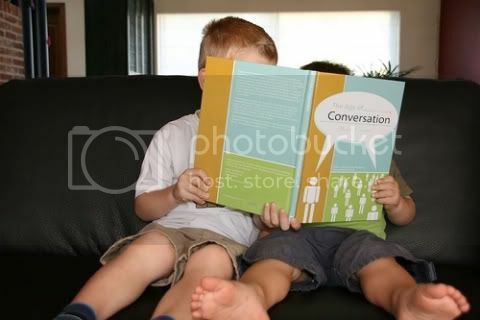 Now, let’s together help one of our readers who has agreed to receive honest and loving advice from us parents already on the journey to raising bilingual kids. Let’s share and learn from each other. Will my husband confuse my baby? This week’s question was sent by Mary Siddall, a Peruvian mom married to an American using the mL@H method to raise their son bilingual. They live in Denver, Colorado. You’re already raising a bilingual child or were raised as one…that makes you an expert. What advice can you give Mary? Let’s all chime in and make this experiment a success! Thanks to all and we look forward to reading your answers. Ask an Expert: Should I Translate for my Daughter? I’m in a similar situation. I’m fluent in Spanish and my husband knows a bit. He picked it up in school and spending summers at an international camp with a big population of Mexican kids (he went to the camp starting in his pre-teen years through his teen years). Initially we were going to do OPOL but because we live in a community with very little exposure to Spanish, we’ve decided we’ll both use Spanish and let her pick up English from other relatives and people we encounter everyday. I was worried at first that he might confuse her but I’ve seen that his own Spanish has improved a great deal by using it more. And beyond just improving his vocabulary and grammar, he has gained a lot more confidence in using the language. Before our daughter, I had to get a few drinks in him to really let loose in Spanish =) Now it comes a lot more naturally. I think if he’s willing to make the commitment to learn the language and develop his own skills alongside your daughter, then it can’t hurt. But, and I’ve told my husband this, once you say you’re in that’s it – there’s no turning back. It’s actually be very sweet to watch my husband develop his Spanish and be so committed to it. I imagine it’s what it would be like if we all of a sudden moved to Spain or some other Spanish speaking country – my husband would have to immerse himself and that’s the approach we’re taking now. Spanish is the language of our home so we’re all immersing ourselves. 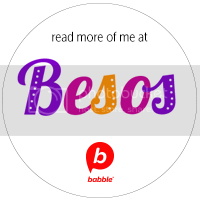 I hardly consider myself an expert, but my husband Carlos and I are raising our kids bilingually, Carlos being the flawless Spanish speaker. I know there are some schools of thought that indicate each parent should only speak one language so as not to confuse the kids. That’s not how it is in our home, however. My Spanish is far from perfect, but I think the benefits of my using it far exceed the cons. 1. First, when I use Spanish, my kids are more likely to use it too. It isn’t natural for everyone but me to use Spanish at the dinner table. If I lapse into English, the kids will as well. 2. The more I try to use my Spanish, the more fluent I become. Aren’t there benefits to adults learning new languages too? 3. My attempt to use the language around my kids speaks volumes about how important it is to me that they learn Spanish. No hay problema, hermana…Dad’s poor Spanish won’t hurt and if anything, it will show your child that learning another language is important to Dad, and that for some, it takes a lot of work. I love this question because so many of us are in the same boat — Latinas married to Americans who habla un poquito. My husband knows enough Spanish to get by and get in trouble. Our 5-year-old now corrects him. I really have been amazed by our daughter’s ability to learn Spanish and to figure out English and Spanish without our having to explain too much. We just talk and she learns. Excellent post and looking forward to reading more answers. I´m just loving all these comments! Thanks so much for taking the time to give Mary some insights. I agree with all of you that if your husband is making the effort to speak in Spanish then it’s best to let him do as best as he can. 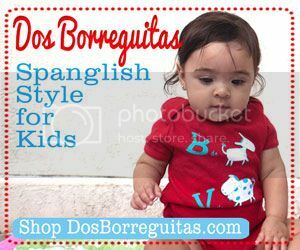 Your baby has you to learn the correct way to pronounce words, conjugate, etc…The important thing here is that your son realizes that Spanish is the language spoken at home…the language of comfort and love. Lo de más, es lo de menos. Mary, thanks for sending in your question. I’m loving all the comments too, because in the same situation. The conventional wisdom seemed to be, DON’T let your husband speak less-than-fluent Spanish to your kids, and I had a hard time with it at first. Well, he does, and it’s not an issue at all! 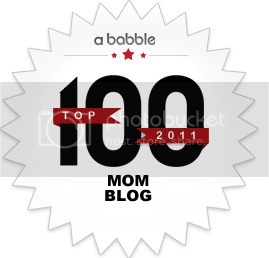 He enjoys it tremendously, for one thing, and as several commenters have stated, his Spanish has improved so much since we had kids!. Also, my boys aren’t really fooled for a minute and they know English is Daddy’s language around here. As Carrie said, it’s really amazing how they figure it out with no explanation. Chicas, thank you so much for taking the time to give me your opinions. As I can see, pretty much everybody is in the same page. I think is great that some of you are going through the same as me. Before my baby was born. I thought it was going to be a piece of cake all this new things of being bilingual. Well it turned out that it was not as easy as I thought. Like Carrie, I also struggled to keep 100% Spanish from my side. But you girls made me think. My English is not great either and I allow my self to speak it to my son. So why not my husband. I’ll keep checking in to see what else you girls have to say. I completely agree with everyone’s post. Encouraging my husband to speak his “mocho” Spanish gives my children the idea that speaking Spanish is important. Absolutely his Spanish has gotten better since our children were born and he’s been reading their children’s books to them in Spanish. Also, children don’t learn language “perfectly” the first time, so why not give adults learning a language a break? We are teaching our daughters Spanish even if it is our second language. I thought about this a lot and did not want them to learn my grammatical errors and mispronunciation sometimes. But then I thought there are a lot more benefits to teaching them. If they learn a few mistakes, they can correct them when they are older. I think that having the husband and wife speak the language really helps the kids really use it. I think if only one parent uses it, sometimes the kids get more confused or will not respond in both language. But I would do whatever works for you family! I really believe you have to make the decision at what feels comfortable and good for you!